As fun as it is to write these year in review posts, it’s even more fun to read the one from the year before. I can’t believe that it was only last year, in 2011, that I got my very first publishing credit (a short story in a local magazine)! Wow, did 2012 certainly bring some changes! In the past twelve months I bought my own condo, got a blog-to-book deal, researched and wrote said book and submitted it to the publisher, won a blue-ribbon at the Grange Fair for a pie (a pie I baked!! ), wrote a guest post for Ploughshares about the Philadelphia literary scene, had a story published in an anthology, launched the So, You Want to Work in Publishing guest blog series, met Kristi Yamaguchi, S. E. Hinton, and J. K. Rowling, went to BookExpo America for the first time, did some traveling (Lake Norman, North Carolina; Sandy Hook, Atlantic City, Wildwood, and Cape May, NJ; historic New Castle, Delaware), read 63 books (and counting), started two new WIP novels, and found a few able, willing, and awesome critique partners to swap chapters with. I can’t wait to start attacking those fiction manuscripts, with the guidance of my critique partners, and whipping those stories into shape. It looks like 2013 is going to be a lot of work, and I can’t wait to dive in. Not only that, but the blog following has swelled to 283 of you lovely regular readers (there were 32 of you at this time last year, so here’s to new friends!). You’ve stuck with me even though I burrowed for months upon months–and through your own blogs gave me some great posts to enjoy and procrastinate my own writing with–so cheers to you! If you feel like joining in celebrating with me, feel free to share your own accomplishments in the comments below. I know a lot of you are working on books, queries, agent submissions…how is that going for you? I love to share in your excitement, so update me! Here’s wishing that 2013 is even better than the last, for all of us. Congrats on growing your life this past year in so many wonderful ways. It’s all about diving in, taking chances, and living life to the max. Persistence will get you far in the writing world. For me you ask, another essay published in Skirt!, a new one in Rollins Magazine, a new one in Nail Polish Stories, a “made it to the final cut and then was cut” for Brevity, and more than one-third of my book completed. Plus, 6 solid essays I need to find homes for. I’m also going to have a writing contest on my site for early spring (with some small cash awards even!). Am finalizing the details. Aw, Giulietta, what a nice comment. Thank you for posting it! Congrats on all your accomplishments, I’m so impressed! 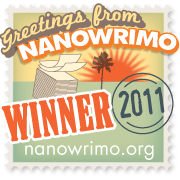 That’s wonderful about how close you were to Brevity–they’re awesome!–and how far you are through your book! I love that you appreciate all those developing accomplishments. Looking forward to the writing contest information! Congrats on all the wonderful things that happened for you this year! For me, I’m two chapters away from finishing the second draft of my novel, finished a short story that I’m sending out to get published, and I’ve started gaining a reputation among my peers that I’m a more than decent editor for their essays. Also, thanks again for letting me interview you for that paper I wrote a while ago. You were a great help. Thanks Amanda! That is AWESOME about your second draft!! What are you going to do with it next? Third draft? Critique partners? Querying?! I’m working on a third draft and sending each revised chapter to someone to read. (Sadly, tons of schoolwork has prevented me from advancing.) Hopefully I’ll be ready to start querying after the third draft. Good luck good luck! With summer coming up, I’m sure you’ll get the extra time you need to do it all. What’s your book about, btw? Haha you should know better than to ask a writer what their book is about! It’s science fiction. The remnants of an alien civilization are torn apart by civil war as one side wants to force its rule on Earth and rebuild their empire, while the other side wants a more peaceful coexistence. I LIKE asking writers those questions! Then I know things! And get excited about what they’re working on! Also, if it was YA, I was going to suggest some beta-reader finding methods. Summary makes me think a tiny bit of an Orson Scott Card book. What are the aliens like/what do they look like?? Are they human look-a-likes with super powers? Is it an adult fiction read? Truth be told, I didn’t have a target audience. I suppose it could go either way between young adult or adult fiction. The aliens are human look-a-likes, but you could easily pick out who was human who is an alien (they have teeny gold scales all over their skin). As for super powers, unfortunately not. Oh, I like the gold scale thing! And the telepathy. Reminds me a bit of Cinder, if you’ve read that. Good luck good luck good luck!! Thank you very much! And Cinder is on my list of books to read this year.